A must try is our South-style vegetable poriyal sabzi. It's enriched with flavours of curry leaves, mustard seeds and coconut that envelope diced carrots and green beans. Paired with a homestyle Punjabi chole, you can enjoy this winning duo with some nutritious rotis, a refreshing salad and tummy-cooling raita. 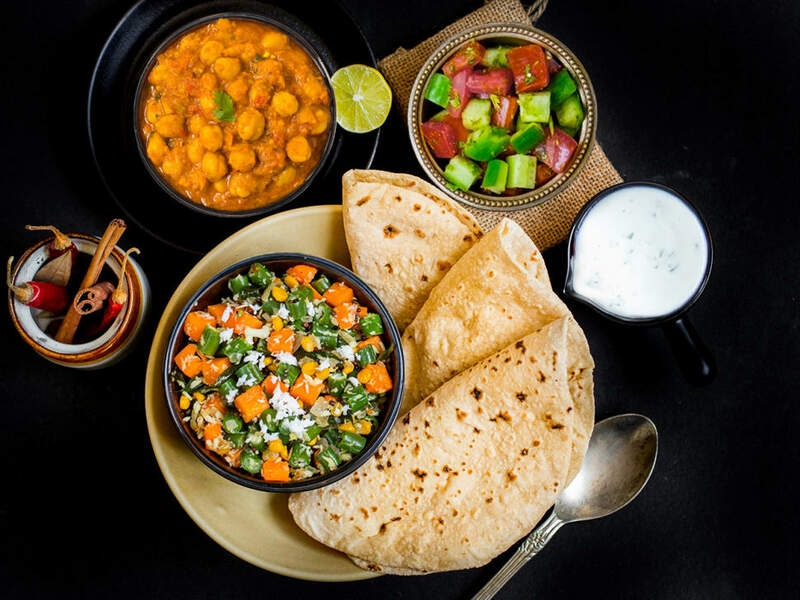 - Antioxidant-rich carrots and beans in poriyal - Nuts and seeds rich in good fats - Protein-packed chole - 100% whole wheat rotis - Low-fat yogurt raita Served with the superfood of the day. 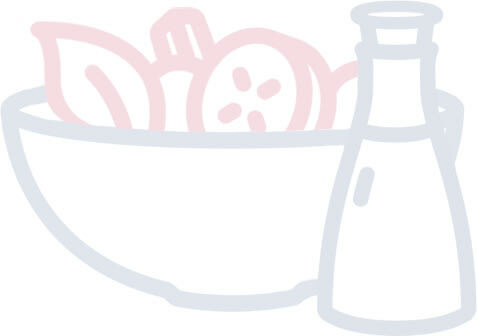 Allergen Information: Contains gluten, nuts, seeds and dairy. *Salad and raita may vary from those pictured. Also, nutrition values may vary slightly based on the salad and raita of the day.